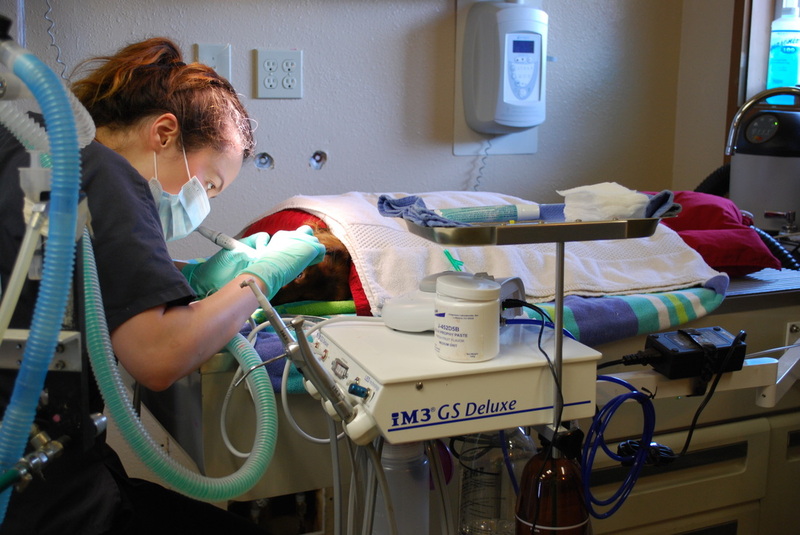 Periodontal disease is the MOST COMMONLY diagnosed condition in both dogs and cats. By 4 years of age, over 80% of dogs have periodontal disease! Just as with people, routine care, genetics and tooth placement all play an important part in your pet's dental health. Regular professional cleaning is important to maintaining your pet's overall health. Our highly trained technicians use modern and safe ultrasound to clean each tooth thoroughly above and below the gum line. All teeth are then polished to create a smooth, lustrous tooth surface more resistant to plaque buildup. We use the most advanced equipment available, to ensure the cleaning process does not cause damage to the teeth. Digital dental x-rays are used to diagnose problem areas below the gumline. Once our doctors interpret the x-rays and identify the problem, we are able to treat it promptly. Occasionally we are asked if we perform anesthesia-free dental cleanings. We do not perform or recommend these procedures. 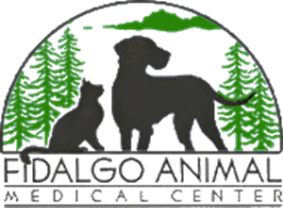 The American College of Veterinary Dentistry strongly recommends against anesthesia-free cleanings - more information can be found on their website at http://avdc.org/AFD/ .